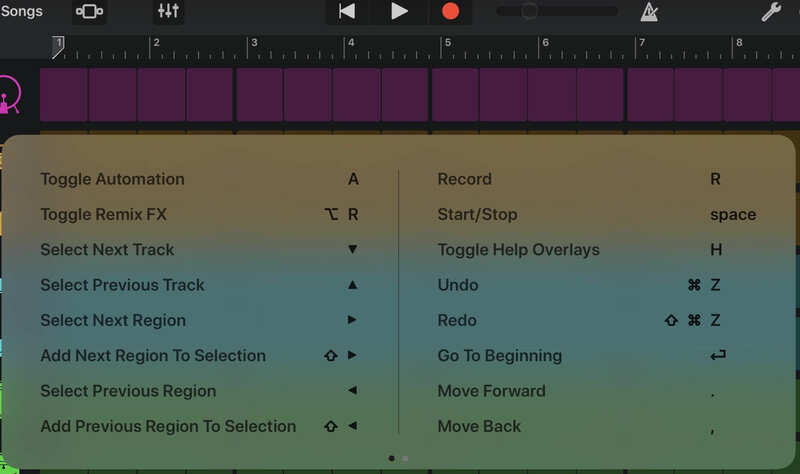 In GarageBand there are a good selection of keyboard shortcuts. Do any other music-related apps provide keyboard shortcuts? 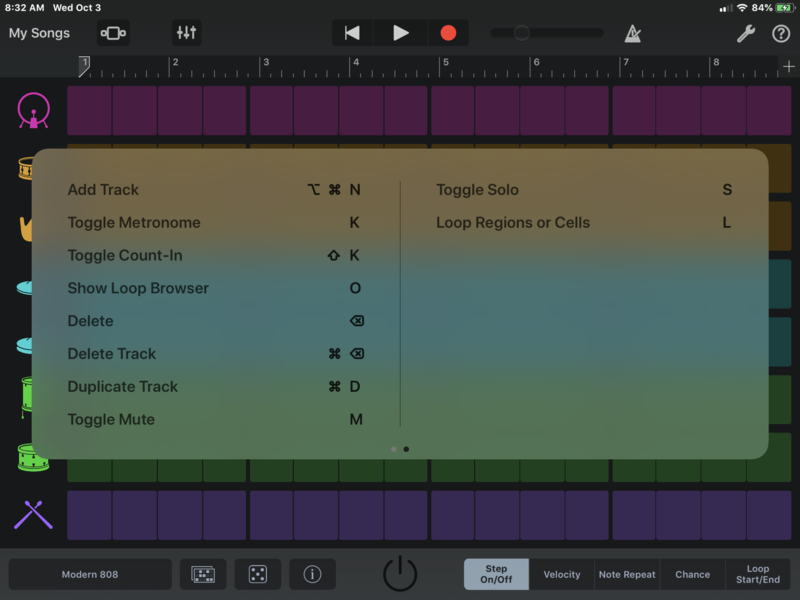 I don’t use GarageBand - but having editing options on the Keyboard could be very useful in a DAW. 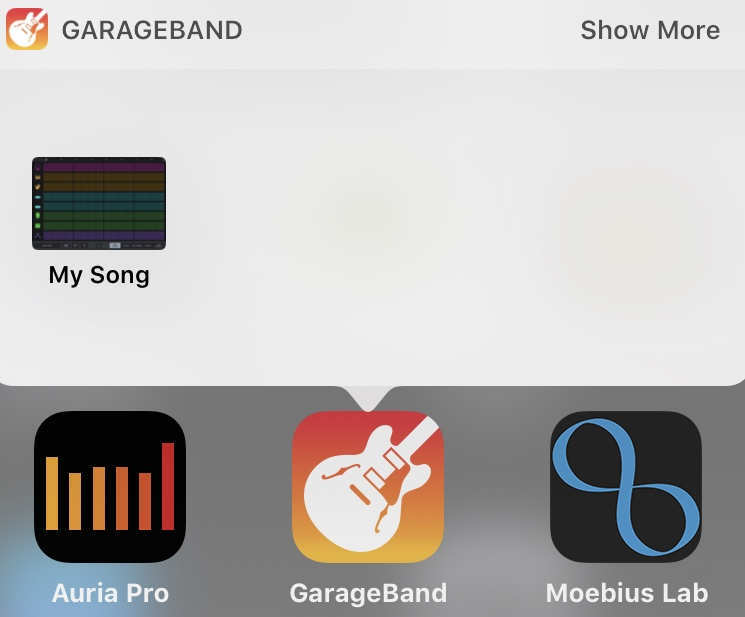 Also, GarageBand has the document preview option - long tap on the app icon to show a list of your recent Songs. Do any other music-related apps have document previews? I’m thinking previews could be a good option for AudioBus - Long Tap the App icon and a list of your Presets / Last Session / New Session options pop up. Keyboard shortcut preview is generated by iOS automatically. As developers, we just need to add keyboard shortcuts with key combos, shortcut name and of course its functionality. UIKeyCommand is the shortcut item's class and here is the Apple documentation. From what you write above - makes it seem relatively trivial to add shortcuts? I’ve been using them with Twitter this morning the first time - and I’m already hooked, my wrists can do without going back and forth from keyboard to screen tap - probably save hundreds of movements in a day. Loopy lets you map QWERTY keys to any internal command, just like MIDI. Sadly, anything that is using the QWERTY keyboard needs to be in the foreground. On that note, Sidecar from Secret Base Design will a) send QWERTY input out to other apps as MIDI data and b) work in slide-over and split-view modes so that it can retain focus. https://itunes.apple.com/us/app/sidecar-midi-controller/id1073305840?mt=8 tbh, I've never tried it but there you go. Would LOVE to see this implemented in cubasis!